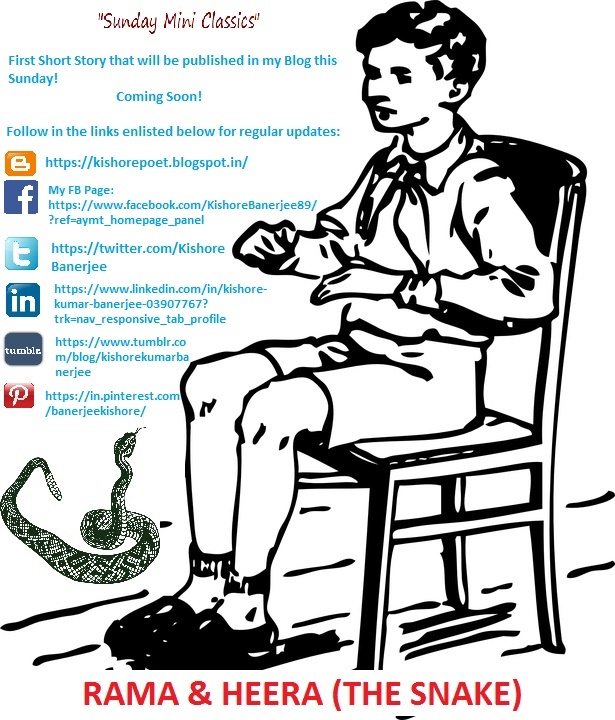 "Sunday Mini Classics" will open itself with it's first short story this Sunday. "Rama & Heera (The Snake)" the first in the list. Such stories will continue every Sunday. So, don't miss any of them. All my profile & page links have been enlisted in the poster. Kindly like, comment, share & follow. But most important thing is read & enjoy it!